The Ford F-150 pickup truck has been named by Kelley Blue Book Overall Best Buy of 2015 from among 12 vehicle category winners honored as the top new model year choices available in the U.S. market. 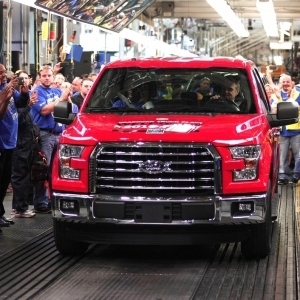 “In a field of 12 stellar category winners, the Ford F-150 stands out for its breakthrough aluminum body, a weight-saving strategy that enables its turbocharged Ecoboost engines – another breakthrough – to be even more effective and impressive,” Kelley Blue Book said of its overall winner. 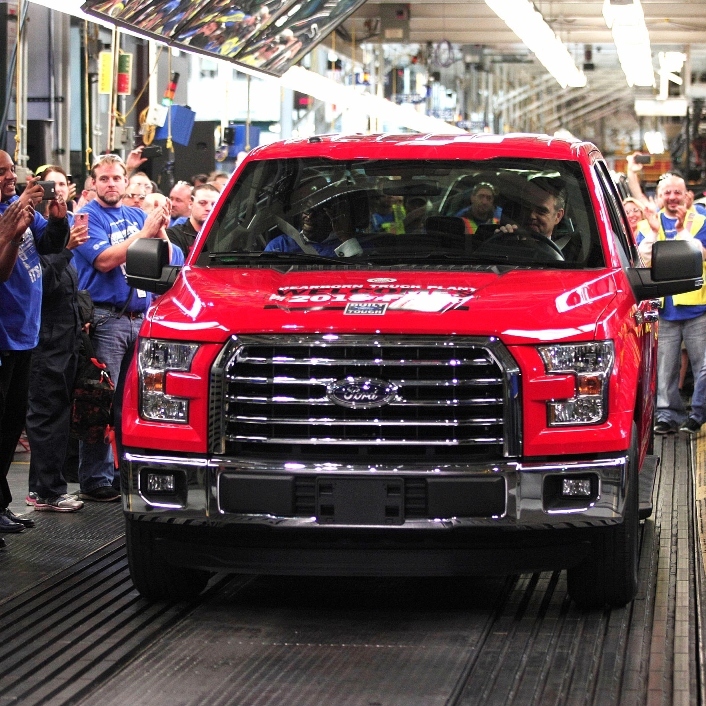 The F-150 beat out the Chevrolet Colorado and Silverado, the Ram 1500 and the Toyota Tundra in the truck category. Of the remaining 11 vehicle categories, Honda scored five category wins, including one for its luxury nameplate Acura, while Chevrolet won awards in four categories. Honda Civic, small car; Honda Accord, mid-size car; Chevrolet Impala, full-size car; Mercedes-Benz C-Class, luxury car; Chevrolet Corvette, sports/performance car; Chevrolet Volt, electric/hybrid; Honda CR-V, small SUV/crossover; Toyota Highlander, mid-size SUV/crossover; Chevrolet Tahoe, full-size SUV/crossover; Acura MDX, luxury SUV/crossover, and Honda Odyssey, minivan. “After carefully analyzing a wealth of data and conducting extensive vehicle testing and evaluation from the hundreds of models available for the 2015 model year, we chose this year’s elite group of 12 … because they proved to be the top values in their class,” said Jack R. Nerad, executive editorial director and executive market analyst for Kelley Blue Book’s KBB.com. The awards are “designed to provide a significant service to new-car buyers by identifying the cream of the crop of all available 2015 model-year vehicles,” according to a Kelley Blue Book press release. The list of KBB finalists considered for Best Buy Awards comprised 49 vehicles and 20 makes. For more details on the finalists see our Santander Consumer USA blog post of Oct. 17 or Kelley Blue Book’s press release, which includes a complete list of finalists.